Looking for something a little more out there? Try these 3 strange Portland attractions. You’re taking your car in for another oil change at your local auto body repair shop in Portland and you can’t think of anything to fill the next 3,000 miles? Don’t despair. 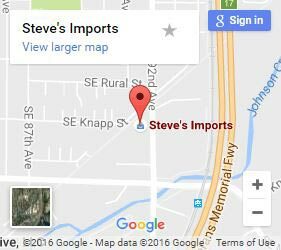 Portland offers some seriously strange attractions for those that are willing to make the effort. We’ve already done the hard work for you though, so buckle up and get ready for a weird ride. One of the oddest places you can visit is the Woodstock Mystery Hole. This attraction is right off of I-205 and harkens back to the days of roadside attractions during the heyday of motoring. Though the provenance of the Mystery Hole is debatable, the owner and hole historian is happy to tell you all about it. Visitors have often commented on the giant door that’s never been opened. You’ll find this mysterious door deep underground. The tour guide himself isn’t sure how it go there. It could be mole people, aliens, or the crowning achievement of a long-dead door enthusiast. We may never know, but if you visit the Woodstock Mystery Hole in Portland you’re guaranteed to enjoy yourself even if you don’t exit the hole with any greater understanding of it than when you went in. If you like taxidermy, art, and oddities all mixed together then this is the museum for you. Museum exhibits are divided into different “Ages.” Though the museum is small, what it does have packs a visual punch. Exhibits frequently feature taxidermied animals in mixed medium pieces with an abundance of other parts. The Zymoglyphic Museum is only open on specific days, so you’ll want to be sure to check the local Facebook page in order to plan your visit ahead of time. The most familiar items on display are those in the Natural History collection though it may not be a history you remember. These creatures are unique to the Zymoglyphic region. They are incredibly difficult to locate and catch, so finding a Museum with this many well-preserved examples is a real marvel. If you’ve read the children’s book “The Ice-Cream Cone Coot And Other Rare Birds,” you have a fair idea of what you’re in for. You may be surprised about the transitions that the vacuum cleaner has gone through. From looking like a fancy upright dustpan to a piece of a spaceship to a more modern form and back again, the fascinating history of the vacuum is revealed at the Vacuum Museum. Here you’ll find examples from as far back as the 1800’s all the way to the 1970’s when form took center stage and companies weren’t afraid to try something completely different. 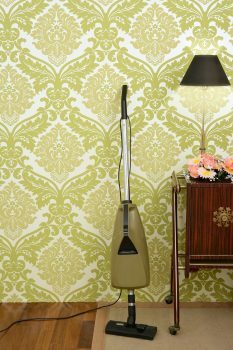 Vacuums from the 50’s to the 70’s spanned every design imaginable. You’ll be blown away by the creativity and form in this era of cleaner. From jetpack shaped models to those that look like they came out of the original Star Wars film, this is when vacuums truly took off and became the “space-age” marvels they were always intended to be. Now that you know it’s time to make a full day of it. Start out with a filling breakfast and enjoy some natural sights before you visit one of Portland’s strangest tourist attractions.